Last Friday I had the treat of attending the Moon Festival Tea Service at The Urban Tea Merchant here in Vancouver. Food Husband Sean had been asked to write about the service for another publication and he was allowed to bring a guest so who better than his tea junkie Food Wife, right? 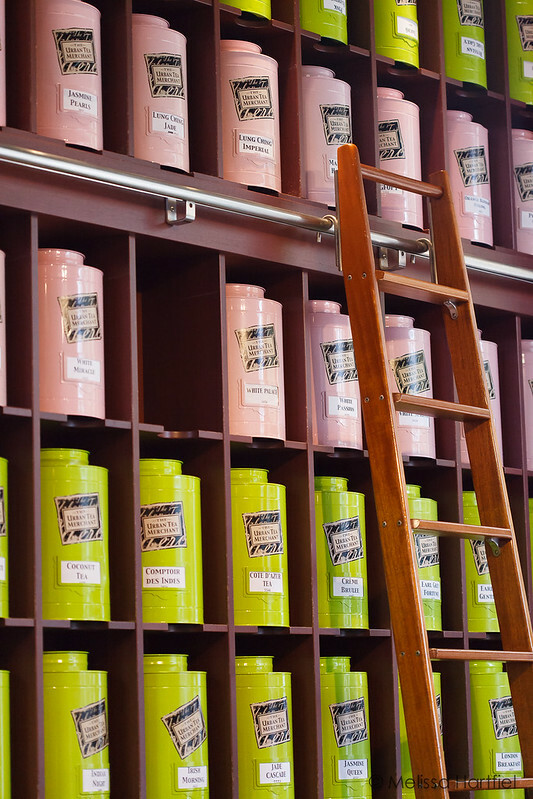 The Urban Tea Merchant is a place we’ve passed by many, many times and each time we say to each other “we should totally do a tea service there one day”. 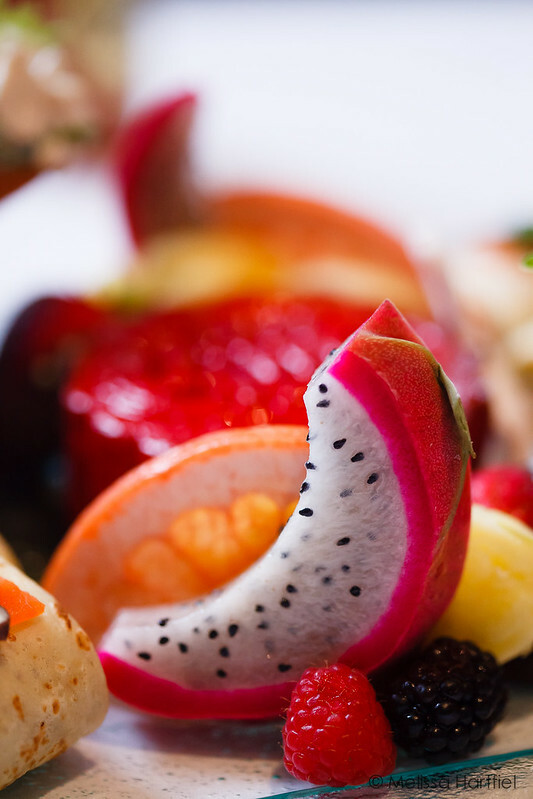 They do several tea services – everything from weekend brunch services to a full signature afternoon tea service. 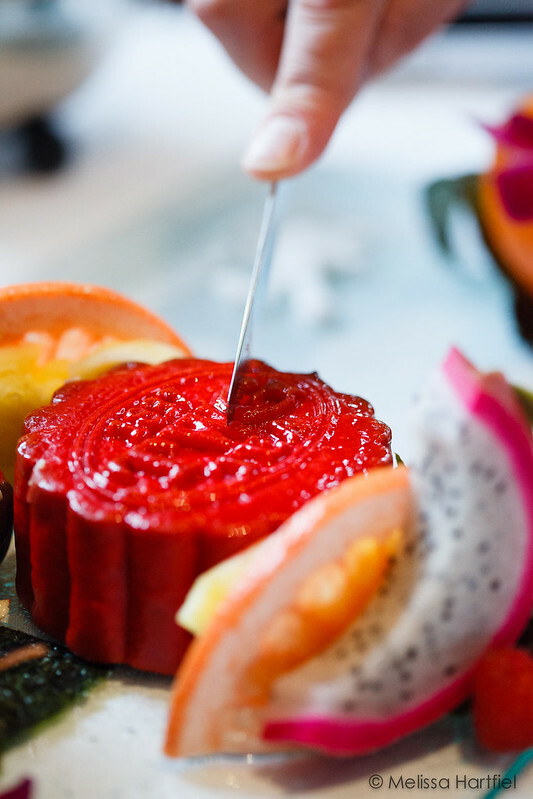 But for a limited time they are celebrating the Chinese Moon Festival with their featured Moon Festival tea service that includes a TWG tea infused moon cake and a special blend of white teas called Longevity Tea. Our gracious hosts, Tom, one of the co-founders, and Reza, the shop’s tea sommelier, started us off with a tour, letting us smell some of their more exotic blends of TWG teas while we admired some of the gorgeous tea pots and accessories scattered throughout the store. It really was a candy store for a photographer but, I hadn’t really expected to take photos so I found myself saddled with the wrong lens and didn’t take as many as I would have liked. 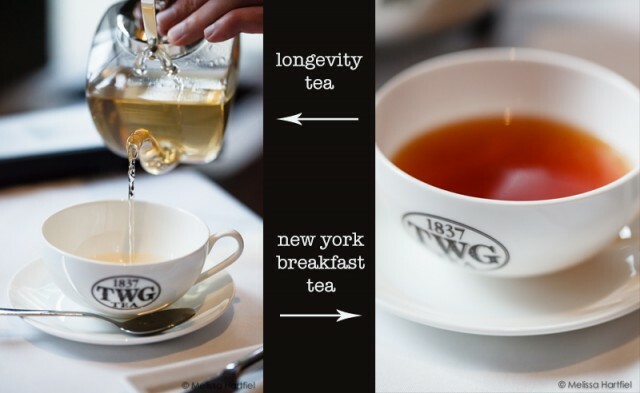 Then it was time to sit down for the actual tea service, which features the Longevity Tea – a TWG tea that is made up of a mix of rare white teas with silver tips. It was served to us in pretty white, china cups from a beautiful glass teapot – Food Husband even managed to do a stellar job of pouring me a second cup as you can see below! We were also given two other teas to try with our service – a green and black mix and a straight green tea. And then, as a special treat, they brought me my own pot of New York Breakfast tea which had caught my eye (and nose!) when we did our store tour. It’s a black tea with a malty sweetness that my palette fell in love with. 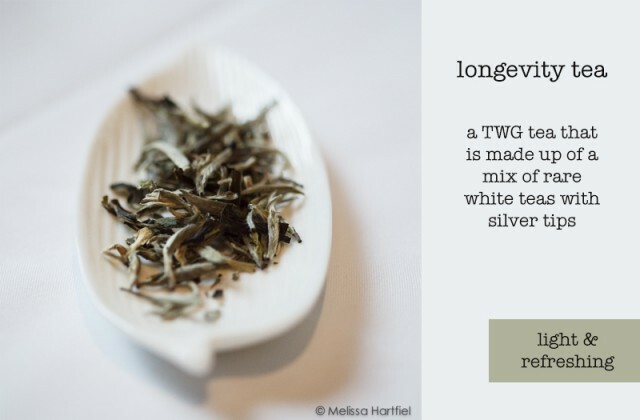 I’ll be back to purchase a tin of this one soon – it would be a lovely morning tea. While the tea was lovely, we really didn’t know what to expect with the food and it was a very pleasant surprise. 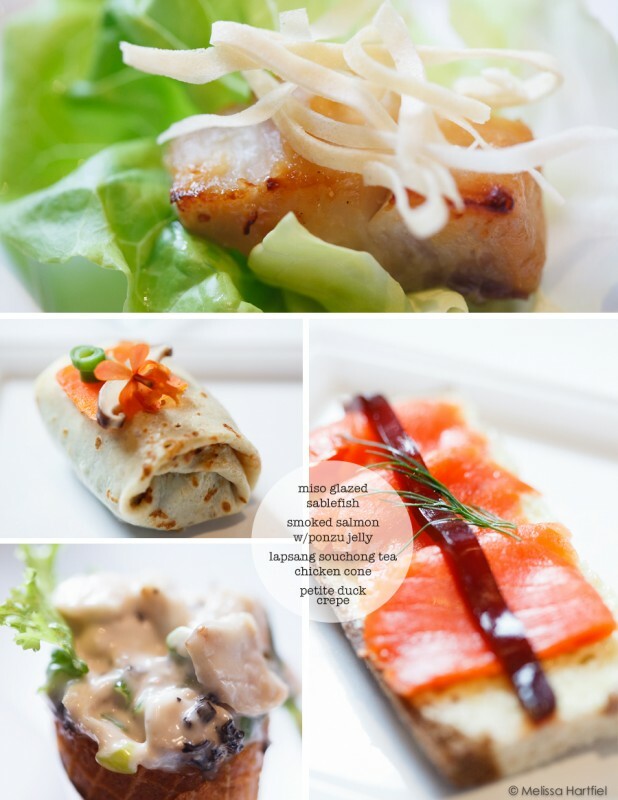 The tea-infused menu has an Asian twist with the savouries including a miso glazed sablefish in a butter lettuce cup, smoked salmon with ponzu jelly, a lapsang souchon chicken cone (my favourite) and a royal orchid tea petite duck crepe. They were all delicious and beautifully presented but my favourite was the chicken cone. The infusion of the lapsang souchon gave it a smoky flavour that contrasted with the sweet little waffle cone. 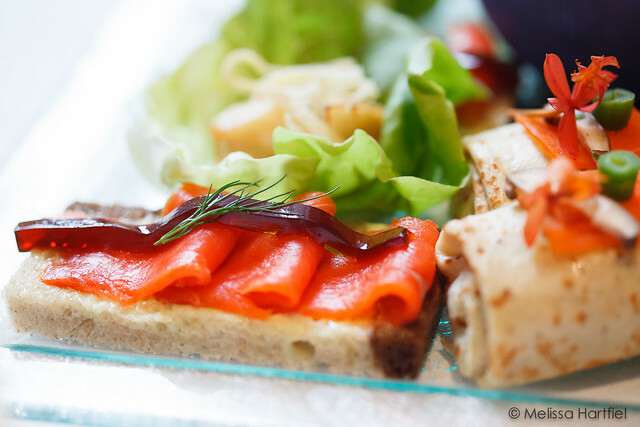 It was a lovely twist on the traditional chicken salad sandwich. One of our tea servers explained the story of the moon festival to us and what the layers in the moon cake represented. 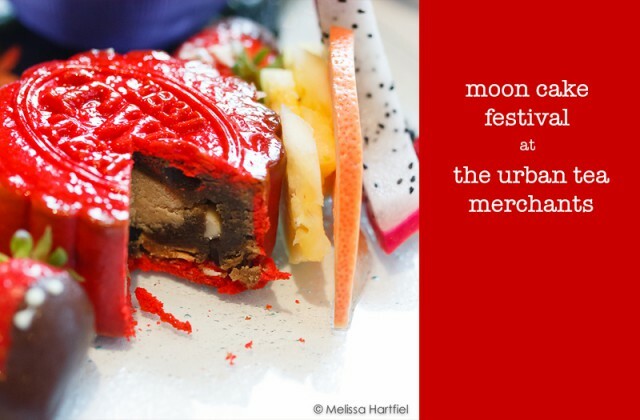 Our moon cake was the Dragon cake – one of four different moon cakes Urban Tea is featuring. It was also a twist on the traditional with a Brothers Club tea infused lotus cake centre that contained peanuts and a centre of buttery peanut paste. I’ll be honest, I’m not a huge fan of moon cakes. I find them way too sweet for my taste but the addition of the peanut centre offered up enough of a contrast to lessen the impact of the lotus paste’s sweetness and I actually found myself sneaking a second piece! The whole experience was a delight. Our only regret was that we had a dinner reservation that meant we had to leave sooner than we wanted to. We could easily have stayed an extra 30 minutes and enjoyed a few more leisurely cups of tea. The Moon Festival Tea Service is available until September 19th at The Urban Tea Merchant at 1070 W. Georgia Street in Vancouver. If you can’t make it in for a visit you can purchase from their on-line shop – they ship to all of Canada and the US! Disclosure Notice: While I was a guest of Sean’s and was not invited as a blogger or reviewer, and therefore not required or expected to write about or photograph any of our experience, our tea service at Urban Tea Merchant was complimentary. But y’all know a tea junkie like me wasn’t going to pass up this opportunity – or that I wouldn’t give you my honest opinions. I’m honestly not sure I’ve ever had a mooncake before. I love tea shops. I could live in them. I’d hand out, read books, and drink lots of tea! I love that this one also offers a tea service with nibbles too. There’s one particular shop in Montreal (Camellia Sinensis) that is a little unusual in that there are no cell phones/laptops allowed, or anything that can make noise. In fact, talking is frowned upon so everybody whispers to the point where it can be hard to communicate, especially with the server you place your order with! Haha! So it’s unusual, but it’s also really nice because you are forced into “quiet time”, which I don’t think we have nearly enough. i like the idea of no phones/laptops! I have to say, even though we were there so Sean could take photos and it was fully sanctioned by the shop, it felt weird. I’m never super comfortable taking photos in restaurants but I usually get over it quickly if I’m there at the request of the place. But this one, I felt like the other patrons were frowning at us! But it should never be silent – the whole point of a cup of tea is so you can have a good chat! Just a heads up, we will be introducing a very special tea service later this month and we will make sure we save a spot for you and your husband. Thanks! We had a lovely time – I’m just sorry we underestimated the time we needed! Definitely be making an effort to come back!